WCRE is proud to have successfully represented Wenric Properties in their acquisition of 620 Deer Road, Cherry Hill, New Jersey. Wenric Properties owns an Energy consulting and LED lighting distribution company and will use this new location to expand their warehousing and sales force. 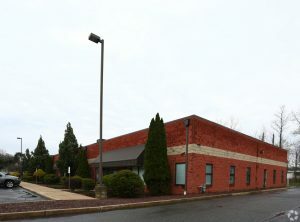 620 Deer Road is well located within the Cherry Hill Business District and is within close proximity to I-295, Routes 70, 73 and Philadelphia. Leor Hemo, Executive Vice President of WCRE exclusively represented Wenric Properties in this transaction.